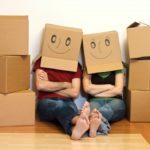 Whether you are moving to a new Brisbane office or just purchased a new house, you will most likely need movers to help you make the switch. A moving company helps to simplify your big move by handling the heavy lifting and the logistics. A professional moving company does more than just moving the boxes. They help free up your time and ensure a simple, efficient move. A mover helps to pack, transport and reassemble your items. To make sure you get the best movers possible, consider the following five things before hiring a new company. Once you have a list of a few different companies, make sure to check them out. Nearly every company has an online storefront, and their website will include testimonials. Since most companies select only the best testimonials, look at websites like Moving.com or read through their Google reviews. This technique helps you see what types of experiences other customers had with the company. Most people only leave reviews when they had a really great or really terrible experience. By reading through the positives and negatives of the company, you can discover if they are right for you. An even better option is to get reviews from people you trust. Your friends, co-workers and family members are the best source for an unbiased, genuine review. Ask around and see if anyone in your social circle has hired movers in the past. You can ask your friends about their experiences, if they would recommend the company and what types of prices to expect. This option also works well because there are some newer companies that get overlooked online because they lack the reviews. Your friends can help you figure out which companies are worth the money and which companies to avoid. You need a company that is covered by liability insurance. If you wanted to toss out or break your items, you would not have spent so much time and effort moving them. Even if you are only moving a few streets away, accidents can still happen. A professional moving company should offer different types of liability coverage. In general, movers will offer two main options. Full-value protection covers the entire replacement value of the damaged, broken or lost items. This comprehensive protection tends to cost the most, but it also covers the entire replacement value of your items. A cheaper option is known as released-value protection. This option means that the mover covers liability for a certain price for every pound of your items. The protection is less, but the coverage also costs less than full-value protection. At the very least, ask your movers to see their proof of insurance. If the moving company is legitimate, they will be able to show you their insurance policy. Price is always a factor in choosing a moving company. While you do not want to choose a business based on just the price, it is something that you need to consider. If two companies have similar reviews, services, insurance coverage and reputations, then the price may be the only difference. You have to find a mover who can work within your budget. When it comes to the price, you should ask about a not-to-exceed estimate or a binding quote. In general, moving companies give a non-binding estimate. This means that they will estimate the price, but the price can change later depending on the actual cost. If it turns out you require more labor or ship heavier items, you could pay much more than you originally expected. One way to prevent this from happening is to look for a binding estimate. This estimate means that the cost of your move cannot cost more than the original estimate. The quote should include add-ons like stairs, travel time and anything else that could be charged later, so you know exactly what the maximum cost will be. You do not want to hand over your belongings to just anyone. While moving fraud is extremely rare, there are definitely unlicensed companies out there. If the company is not licensed and insured, your items are not protected from getting damaged, lost or forgotten. The moving company should be properly registered and licensed. One warning sign is if the mover asks for a deposit that is higher than 20 percent. If the movers demand a surprisingly high deposit, you should be extra cautious and research them thoroughly. Look for a company that has a track record for reliability, service and safety. Before you hire a company, make sure that they have experience with your specific kind of move. For example, if you are moving to a high-rise building, make sure that the movers have handled a lack of elevators, narrow hallways and stairs before. Your movers need to be able to handle problems ranging from parking restrictions to small doorways. You should also see if the movers have the right moving truck for your needs. The moving truck needs to be the right size to fit your furniture, boxes and other items. Check if the company offers extra packing supplies. To protect your belongings, you may need things like bubble wrap, moving blankets or extra boxes. The last thing you want is to get to the moving day and realize that you do not have enough moving blankets to protect your items. You should also ask if the company can guarantee your pickup and delivery times. Some companies offer a specific time window, and other movers are unwilling to guarantee the specific time. If you want your items at a certain place on time, you want a moving company that can deliver on its promises. While you do not always need a company with years of experience, you do want a business that has a track record of success. If the reviews, prices, services or insurance coverage are not right, find a different mover. There are many options to choose from in this competitive industry, so you never have to settle for anything less than the best.